AUSTRALIA coach Justin Langer has reportedly dropped a series of surprises in a 13-man squad for the first Test against India. With the squad due to be unveiled on Thursday morning, Victorian batsman Marcus Marris has reportedly forced his way into the under-pressure batting line-up, which has undergone a dramatic shake-up after Australia's recent test struggles against Pakistan. Harris and Victorian teammate Peter Handscomb were the two big winners in the squad announcement, while Queensland opener Matt Renshaw has emerged as the big loser, according to The Daily Telegraph. Langer is expected to confirm the selections in a press conference on Thursday after the national selection panel of Langer, Trevor Hohns and Greg Chappell met on Wednesday. The surprise selections came just one day after former Aussie coach Darren Lehmann publicly voiced his support for Harris's selection. 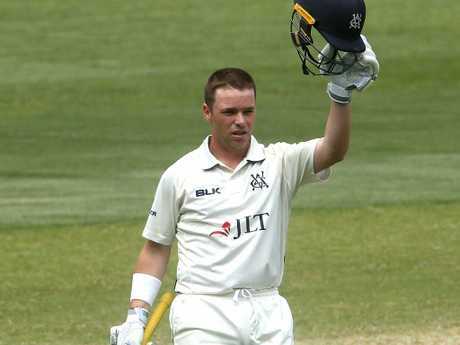 Harris has been in the box seat to earn his Test debut since scoring an unbeaten 250 in Victoria's Sheffield Shield match against NSW last month. In six Shield innings this summer Harris has averaged 87.40. Lehmann said Harris, purely on the weight of Sheffield Shield runs, should get the nod for the first Test, which starts in Adelaide on December 6, ahead of Renshaw. "He is the in-form player of the competition and has an outstanding record over the last two years," Lehmann said on Macquarie Sports Radio on Wednesday. "I would have liked to have got Renshaw in there, but he hasn't scored enough runs." The South Australian great also got his wish for Travis Head and Handscomb to be picked. Marcus Harris will get his chance. Head and Handscomb are reportedly locked in a duel for the final middle-order position to bat behind Aaron Finch, Harris, Usman Khawaja and Shaun Marsh. Sheffield Shield wicket-taker Chris Tremain was the other surprise addition to the squad and is likely there as cover for the pace battery of Pat Cummins, Josh Hazlewood and Mitchell Starc. 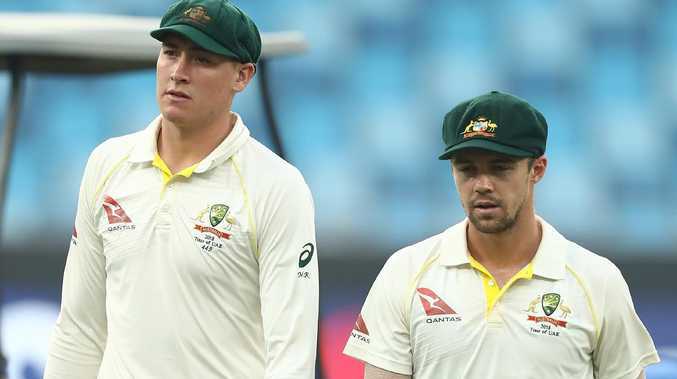 Quick Peter Siddle, spinner Jon Holland and all-rounder Marnus Labuschagne have all lost their spots in the team, as expected, after Australia's series defeat to Pakistan in the United Arab Emirates last month. The squad received a mixed immediate reaction from Aussie cricket commentators. 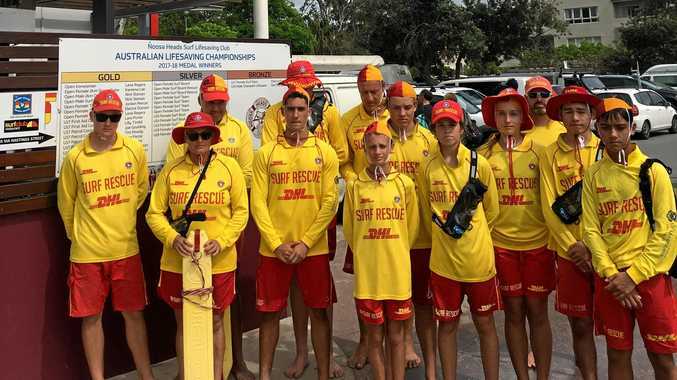 Aaron Finch, Marcus Harris, Usman Khawaja, Shaun Marsh, Peter Handscomb, Travis Head, Mitchell Marsh, Tim Paine (c), Pat Cummins, Mitchell Starc, Josh Hazlewood, Nathan Lyon, Chris Tremain.